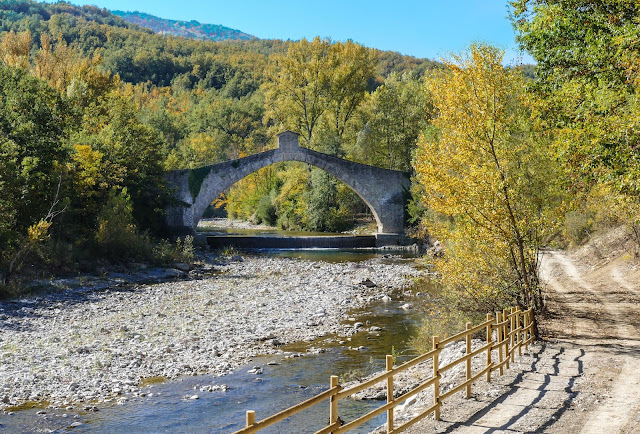 We dedicated this weekend for Olina Bridge, that has nowadays became a topic of conversation due to the hydroelectric power station which is going to be built next to it. Olina is a tiny village, less than an hour drive from Bologna or Modena. 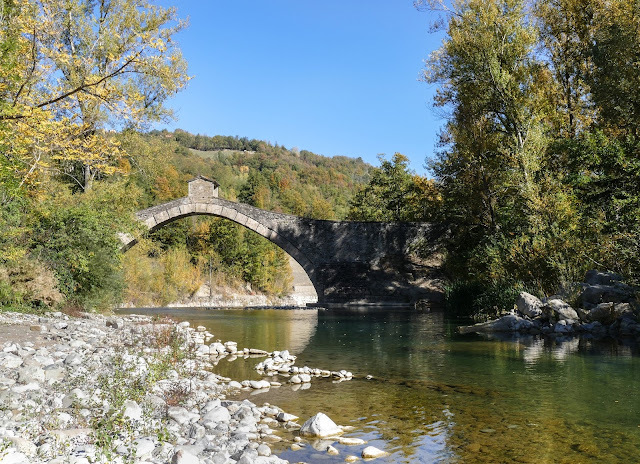 This small village hides one of the stunning Renaissance Bridges once used to connect Emilia Romania with Tuscany. Lost in the countryside, this unknown bridge is a jewel which took us back into time; it has been built in 1522, financed by the city of Modena, Florence and Lucca as it was once necessary for both transporting goods and people. I thought it was for pedestrians use only but I saw vehicles driving through it so probably it is still strong enough to support weights. 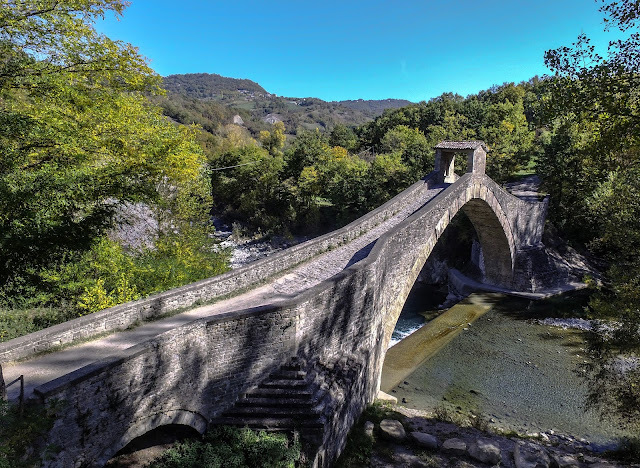 There is a small canopy built later in 1581, in the middle of the bridge with sacred icons that seems to protect the ones who trespass the river. The fantastic nature and environment around make it a great place to spend a Saturday or Sunday evening, alone or with family. Close to the bridge there are some walking pathways and a small fishing lake with a bar. I saw also a barbeque area but didn’t understand if it is supposed for private uses. You can obtain the correct information by calling or writing to the following details: + 39 0536 29 964 and uit@comune.pavullo-nel-frignano.mo.it. Of course it a great spot for photographers, if so, fall season is the one I advise. 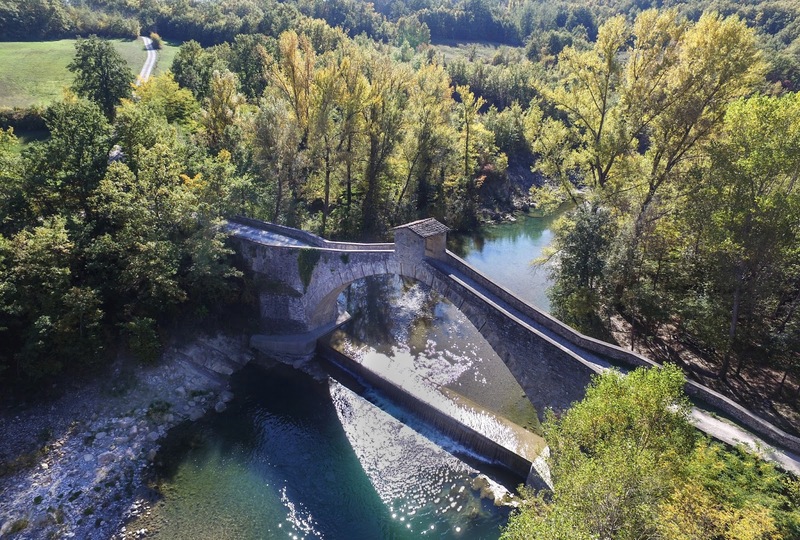 Sooner or later the hydroelectric power station is going to modify this environment so take advantage and visit the Olina Bridge as soon as you can: it is surely a highlight of the area of Modena.